There are many medical conditions that seem mysterious, or the general public doesn’t know what the condition is. Take fibrositis, for example. Most of us don’t know what that means for the person suffering from it. It’s a name that gives almost no description. It sounds like it could be one of a million different things. In this article, we are aiming to change that. We are going to look at the fibrositis definition, as well as the symptoms, causes, and treatment. By the time you are done reading this article, you will have a basic understanding of fibrositis. The big question is, what is fibrositis? Fibrositis is pain and inflammation of the of the muscles, muscle sheaths, and connective-tissue layers of the bones, muscles, tendons, and joints. It usually affects more women than men and targets the lower back, neck, shoulder, chest, arms, thighs, and hips. Now that we’ve dealt with the big question of what fibrositis is, the next step is to explain what symptoms accompany it. The quickest way to sum up the symptoms of this condition is pain, stiffness, and tiredness. The sufferer can often feel tired and weak. 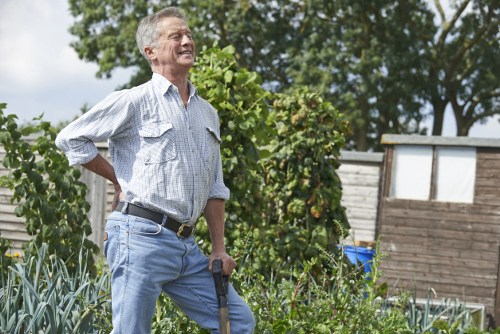 There can be pain in localized areas, as well as sudden and painful muscle spasms that can increase with activity. If you’ve ever had a bad charley horse, it’s something similar to that. Your joints can begin to feel very stiff, and you may limit your movement of those joints in severe cases. With symptoms like these, one might assume that we know all about the various causes of fibrositis. Unfortunately, that’s not the case as no exact cause of the condition is currently known. There was a theory for many years that it was a psychological issue as opposed to a physical one. But, that has been since ruled out. Possible causes include a chemical imbalance in the brain or an autoimmune deficiency. If you have had a history of joint inflammation due to things like polyarteritis, you are more likely to end up with fibrositis. Muscle injury, viral infections, fatigue, and poor nutrition may also lead to this condition. Recognizing these symptoms is the first step to beginning to diagnose the issue. Much like the cause of fibrositis, there isn’t much in the way of tests to diagnose it. However, there are a few lab tests and blood tests that can help register the amount of inflammation in the body. For the most part, the doctor will have you do some tests to rule out the causes of your symptoms (like polyarthritis and rheumatoid arthritis) as opposed to a straight diagnosis. While it may be hard to diagnose, there are several things that you can do to help treat fibrositis and it’s symptoms. A heating pad or hot water bottle can help relieve the pain and stiffness. You can also take a hot shower which can bring warmth to all of your muscles and joints at once. Massage the tender and painful muscle areas in a gentle manner. If it hurts more than it helps, stop the massage. Cortisone injections are used in the muscle areas that are trigger points for the pain. Rest is one of the best cures for what is hurting you, including fibrositis. Stay off your feet and just relax. Allow your muscles and joints to relax, which can help the stiffness and ease away the pain. Meditation can also help. There are a few over-the-counter medications that may be able to help. Look for anti-inflammatory medications and pain killers that are good for joint and muscle pain. Try things like aspirin, acetaminophen, or ibuprofen. Mild anti-depressants can also help as they can help the muscles and joints relax. Biofeedback can be used to treat the muscles and allow them to relax helping with the pain and stiffness in those muscles. One of the best things you can do if you are suffering from fibrositis is to stay active. Try your best to keep up with your gym and fitness schedule, taking a period of rest from it when you need to. Stretching can also help with keeping your muscles pain free or at least helping to rebound quicker. Hopefully, some of these tips can help you with some relief from the pain, fatigue, and stiffness that comes with the condition. When you hear or read about the fact that there is very little known about the causes of fibrositis and that it can be hard to diagnose on a whole, might inspire a certain amount of fear and trepidation. With that said, once it is recognized, there is some hope. There are treatments you can use to take care of the condition. The good news is that science is still moving forward, so hopefully, in the future, there will be easier ways to diagnose it and a cure that can relieve you of the pain and stiffness forever. “What is Fibrositis and How can it be Treated?” ePain Assist, May 1, 2017; https://www.epainassist.com/muscles-and-tendons/what-is-fibrositis-and-how-can-it-be-treated, last accessed June 13, 2017. “Fibrositis,” New Medical Information and Health Information, December 21, 2011; http://www.nmihi.com/f/fibrositis.htm, last accessed June 12, 2017. Copeman, W. S. C., “Treatment of Fibrositis,” The British Medical Journal, June 13, 1936; 1(3936): 1219-1220. https://www.ncbi.nlm.nih.gov/pmc/articles/PMC2458885/?page=1, last accessed June 12, 2017.